Indian Institute Of Science Education And Research Kolkata (IISER) has released a recruitment notification for 1 post of Senior Research Fellow (SRF). Interested candidates may check the vacancy details and apply. Name of post-Senior Research Fellow. Project title-Liposomal drug/gene delivery systems for use in targeted cancer therapy and in vivo dendritic cell targeted DNA vaccination. Pay scale- Rs. 28,000/ plus HRA per month. Tenure- Initially for a period of one year, extendable for a further period subject to satisfactory performance of the incumbent. Basic Eligibility Criteria- Highly motivated and bright students with M.Sc. in Chemistry or Biochemistry with minimum 60% marks or minimum CGPA of 7.5. The candidate should possess qualifications prescribed for JRF with two years of research experience. Desirable additional experience and qualifications- Minimum two years research experience in synthesis of amphiphilic molecules and in working with liposomal drug & gene delivery systems with at least one publication in peer reviewed journals; at least one year research experience in animal cell culture techniques. Familiarity with in vivo animal research protocols would be very useful. Age- Candidates Must not be over 33 years as on April 22, 2019 which is relaxable for certain reserved categories as per rules of Government of India. Relaxation in age, educational qualification or experience may be considered in case of exceptionally meritorious candidates. How to apply- A detailed CV prior to the interview must be emailed to arabinda.chaudhuri@iiserkol.ac.in latest by 20th April, 2019. Candidates are requested to come for a walk-in interview with their CV and proof of qualifications on April 22, 2019 at 9:30 AM in the Discussion Room No. I, 3rd Floor, TRC Building, Indian Institute of Science Education and Research (IISER) Kolkata, Mohanpur, Nadia-741246, West Bengal. Walk-in interview Date & Time- 22th april 2019 at 9:30 AM. Venue- Discussion Room No. 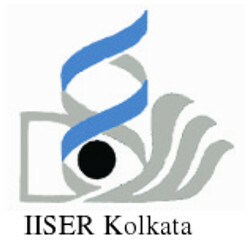 I, 3rd Floor, TRC Building, Indian Institute of Science Education and Research (IISER) Kolkata, Mohanpur, Nadia-741246, West Bengal.